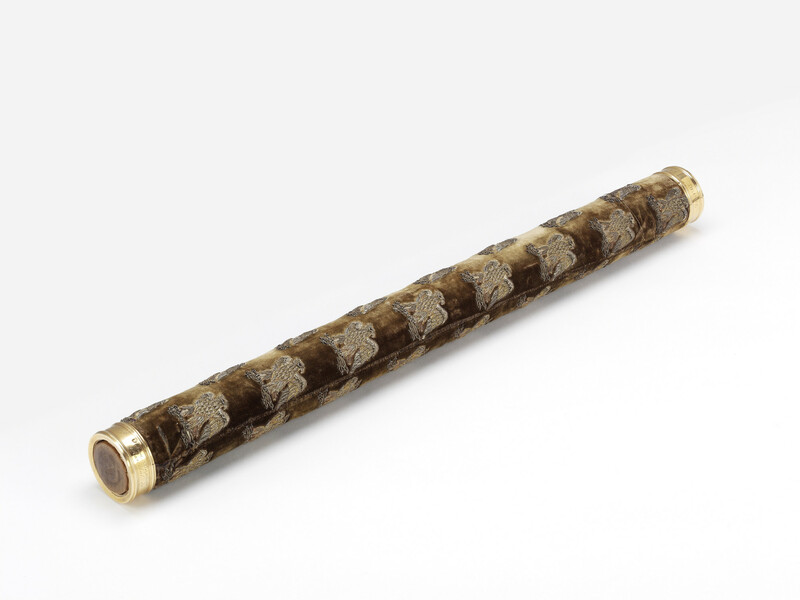 A wooden baton covered in (now faded) blue velvet, applied with silver and gold threaded Imperial 'grand aigles' holding Jupiter's thunderbolts in their talons, gold ends and with a wooden core. Fitted in a red morroco leather box tooled with gilded 'grand aigles'. The baton finials are stamped with the Paris assay and duty marks for the period 1798-1809.